Former Hydro One CEO Mayo Schmidt is going to take home a lot more money than Premier Doug Ford let on when he announced Schmidt's retirement on Thursday — in fact, calculations by CBC Toronto suggest he could end up with more than $5 million in stocks alone. Ford's assertion that Schmidt will receive only $400,000 instead of the $10.7 million guaranteed by his contract ignores the fact that Schmidt will still hang on to his stock options and other incentives granted as part of his executive compensation package. "Mr. Schmidt shall be entitled to receive all remuneration, benefits, awards and other entitlements previously granted, awarded or earned through to the retirement date," reads the agreement which led to the resignation of the entire board of directors and the retirement of Schmidt as CEO. The agreement, signed by former Hydro One chair David Denison and Ontario Energy Minister Greg Rickford, says because Schmidt agreed to retire, he is still entitled to pension benefits and various shares in the publicly-traded utility in addition to the $400,000 lump sum. All told, Schmidt could end up closer to being Hydro One's $10 million man, instead of the $6 million man Ford labelled him as during the campaign. Just how much Schmidt might end up receiving is unknown. A conservative estimate by CBC Toronto puts the number at $5.4 million in stocks alone. That number is partly based on data from the System for Electronic Disclosure by Insiders (SEDI) — an online service for the filing and viewing of trading reports by company officers and shareholders, aimed at preventing insider trading. According to SEDI, Schmidt owned 17,768 Hydro One shares in March. The May 2018 Hydro One shareholder's report showed he had another 253,887 shares in stock options. CBC News arrived at the dollar figure by multiplying the value of those shares based on Wednesday's Hydro One share price. The figure could be much higher or lower based on the value of the stock. Richard Leblanc, a professor of law, governance and ethics at York University, believes the total, including stocks and other remuneration, is closer to $8 million and an analysis by The Globe and Mail found the value of Schmidt's current holdings at $9 million. 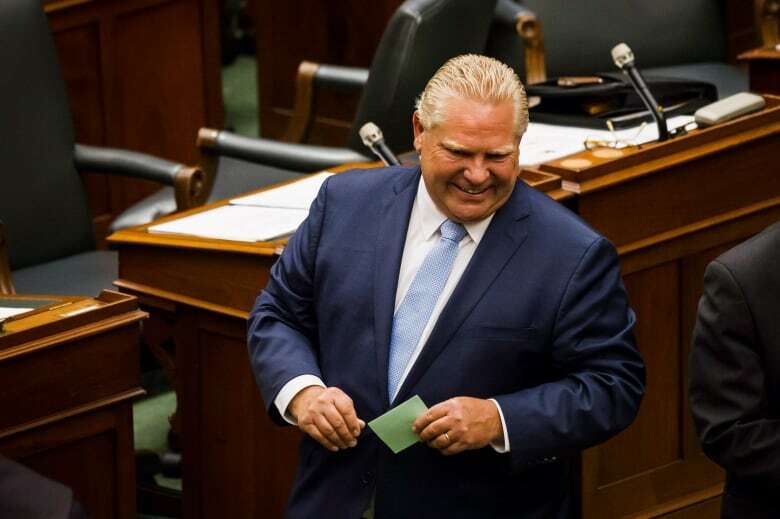 Opposition Leader Andrea Horwath criticized Ford's decision, saying the compensation conflicts with the premier's promise to save ratepayers money. "I think it's clear that Mr. Ford has tried to keep this exit in line with his message as opposed to what's really happening," said Horwath told CBC Toronto. "At the end of the day, that's going to come out of the pockets of ratepayers, whether that's businesses or families." Ford's office said the agreement put ratepayers first and would end up saving them money. 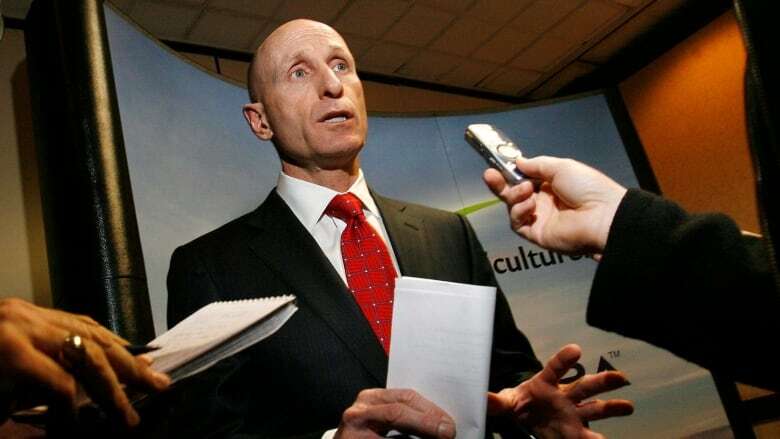 "If he had continued to serve as the CEO of Hydro One his stock options would have only expanded — and under this government's watch, that won't happen," his office said in a statement. Since the agreement was announced Wednesday, shares in Hydro One have fallen on the Toronto Stock Exchange. Richard Leblanc, a professor of law, ethics and governance at York University, believes Schmidt will be taking home upwards of $8 million by retiring. Leblanc says the confusion shows that executive compensation should be more transparent. "There should be full, true, and plain disclosure," he said. "We shouldn't need a PhD to understand what that person is earning." 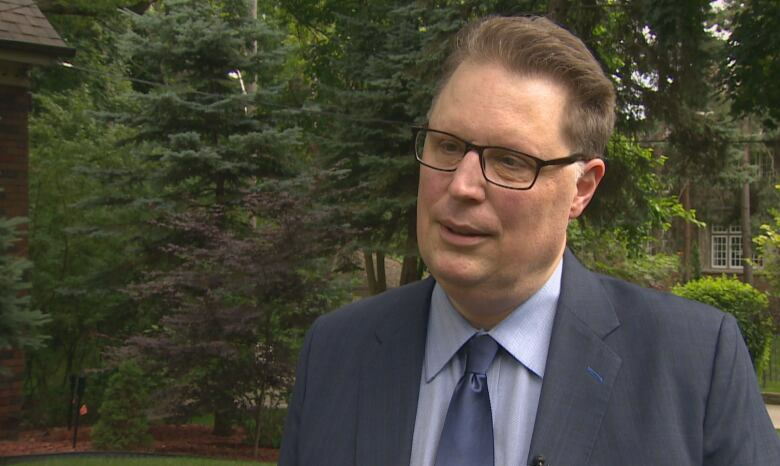 Leblanc believes Ford now has a chance to not only to ensure transparency at Hydro One, but also limit executive pay. "Ford has an opportunity now to put the right directors into place that have strong commercial experience, that are not political appointments, that have energy expertise and can lower rates for ratepayers and rein in executive compensation," he said.